Get a line of credit – It may seem counter intuitive when your credit score is already hurting. The easiest way to establish credit is to use credit wisely. If you have either no score or it’s very low, a store credit card may be the way to go as banks often approve applicants who applied through an organization rather than on their own. Just be careful of higher than normal interest rates. Typical store cards run at 29% compared to 19% for regular credit cards. Always pay your bills on time – Think of your credit cards as tools to help you build or improve your credit score, in addition to the convenience they provide. Don’t make any purchases you won’t be able to pay for at the end of the month. Late payments will negatively impact your credit score and cost a lot of money in interest charges. If you were unable to pay off the card in full on the due date, then at least pay the minimum amount. Paying on time is the number one indicator of a responsible buyer. Don’t go over the limit on your credit card – Also, try to keep your balance as low as possible. One factor that influences credit score is utilization. This is the ratio of credit balance to credit limit. The higher the ratio, the more negatively it impacts your score. Keep an eye on your credit report – Check your credit report for inaccuracies or signs of fraud. You can request a free copy of your report either by mail or online through a credit reporting agency. If you choose the mail route the report is free. However it doesn’t include your actual score, just the report itself. You can also obtain the online version of your report and your score, but a fee will be charged. 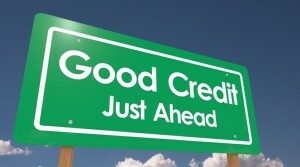 Maintaining good credit is a continuous activity that must be paid attention to each and every day. There are the big things such as making sure that you never miss a payment on anything. But there are a lot of other activities that each consumer needs to think about if they want to maintain their credit score. 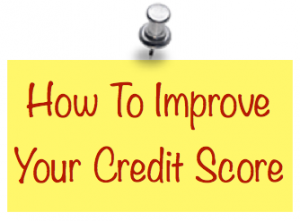 If your credit score is already bad, then there are some things that you can do to fix it quickly. Depending on your situation. If you can fix your credit score fast then you will be able to borrow money easier and at much lower cost for both interest rates and fee’s. Pay all bills, rent, utilities, loans and credit card payments on time all of the time. Over due accounts should be address immediately, talk to the lender to find a solution that does not impact your credit score. Keep your monthly debt payments to less than 35% of your monthly gross income. Never default on a loan of any kind, always repay the loan. These are the big ones. Pay attention to these items all of the time and you will be well on the way to fixing your credit score. Lots of people allow their credit ratings to drop to low levels due to failure to meet monthly payments on utility bills, credit card payments, car loans and even the mortgage on their homes. Some readers have asked if a credit repair loan 1000 debt San Diego will help them repair their credit. Actually if this small amount would help them, they really just need a loan to get them through the next week to buy groceries, pay a few bills etc until they get paid. 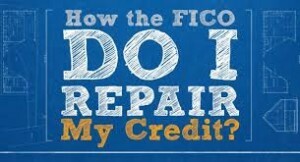 The only way to repair credit is to borrow money and then meet the obligations of that loan every month. never miss a payment and pay it of fin full. If you have existing debt, you must repay that debt in the time frame specified by the loan agreement. If you need to borrow money to help do this, to consolidate debt then do it, but only if the interest rate and terms are a good deal and better than what you are currently paying. A high interest loan with lots of fees is just going to make your life worse and probably more in debt. A loan company that helps people is the only way to proceed. Take it from us a credit repair loan $1000 debt San Diego is probably not going to do it for you. Many banks have started offering low interest rate credit cards that offer a lot of advantages over the traditional credit card. These cards can be very attractive to consumers who traditionally carry a balance on their credit cards. They are paying interest on that balance. Most credit cards will typically carry a rate of 18% or higher on unpaid balances. Low interest rate credit cards will be much lower with some around the 11 or 12% range. This can translate into a significant savings for many people on a monthly basis. Especially when they are carrying a balance on their credit cards. You are still better off to arrange for a low interest rate personal loan. However in the absence of a loan, low interest rate credit cards can save you money. Some cards will charge a fee for using these cards on an annual basis. Several that we looked at charged $29 a year for their credit card. In effect this makes up for the reduced that you might otherwise pay and is an additional cost to customers that pay their balances in full on a regular basis. These cards certainly can save consumers a lot of money if you routinely carry a balance on your credit card from month to month. Depending on the balance that you carry you can easily save several hundred dollars a year which pays for the annual fee and makes sense for those consumers. This is really a personal loan with a revolving line of credit with credit card advantages. They are very flexible and convenient to carry and use as a personal loan tool. On the other hand, if you do not carry a balance from month to month, then the annual fee is an added expense that you will pay for. This then becomes the price you pay for the other advantages that come with the card. Examine the fine print carefully to make sure you understand the details and exactly what you receive when you use these cards. For example if you rent vehicles often, then the 20% savings can add up quickly to pay for the annual fee. Same thing applies to common carrier accident insurance. Take a close look at all of the advantages of each card and select the one that makes the most sense for your life style and travel needs. There are so many different credit card products available on the market that it is sometimes difficult to determine, which one makes the most sense for your situation. With each card that is offered, you really have to take the time to assess whether these products and their specific advantages vs. cost is going to actually save you money while providing the convenience of a credit card. Many people are attracted to cards that build points. They can be used to purchase travel such as airfare, hotels, and car rentals. Some even have catalogs that offer a variety of goods that can be purchased with these cards. This is a great way to recover some of the cost of an annual fee if one is charged. Take the time to look at each one and them, make your decision. Low interest rate credit cards are great products. But they might not be the best product for you based on your life style. 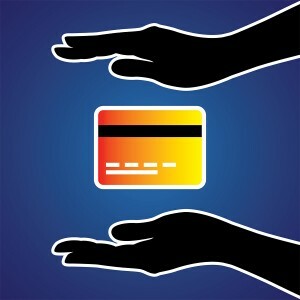 For more information about credit cards and how to deal with credit situations, click here.